The DC Universe App Is Live. Here are 10 Reasons to Join! Hate lists? Sure we all do. Here’s 10 screenshots of the first things that grabbed our attention when DC Universe went live today. We are still waiting for some platforms to be added, but with iPad, phone, and Apple TV, we are covered for now. Stream 2018’s The Death Of Superman. Great movie and brand new! NICE! Dean Cain is a great Superrman and you know it. And was anyone hotter than Teri Hatcher at that point in time? COME ON! The Official Handbook of the DC Universe. Way to catch up, Distinguised Competition! This DC Shop has exclusives and colabs with Alex + Ani, Foundmi and King Ice. So that’s somethin’. Lynda Carter stars at Wonder Woman, 1975! Watch all 3 Seasons! How about a couple of seasons of Batman: TAS to cure your insomnia? Remember that really old movie called Message Boards? Now on your dialup connection! Exclusive content like this motivational hot take on working out like Diana Prince. Look out, Steve! And the #1 reason to get DC Universe (wait, this was a ranked list?) is all of the Superman … Now! NOW! There are 24 search results for Superman that cover Superman I-IV, the other Superman IV, Superman Serials, Adventures of Superman, Justice League Unlimited and all of the Christopher Reeve. There’s even some cool comics history documentaries, found on the DVD extras of yesteryear, the days of the message board! Thanks to you, and we aren’t shilling anything here for DC, and we understand this app isn’t for everyone (including those at LeaguePodcast HQ who have feelings about paying for another OTP service) but we wanted to let the world know what was out there!. If you do log on, start a thread and we will most certainly lurk on that appreciation post in this Message Board era 2.0! Greetings, DC fans! 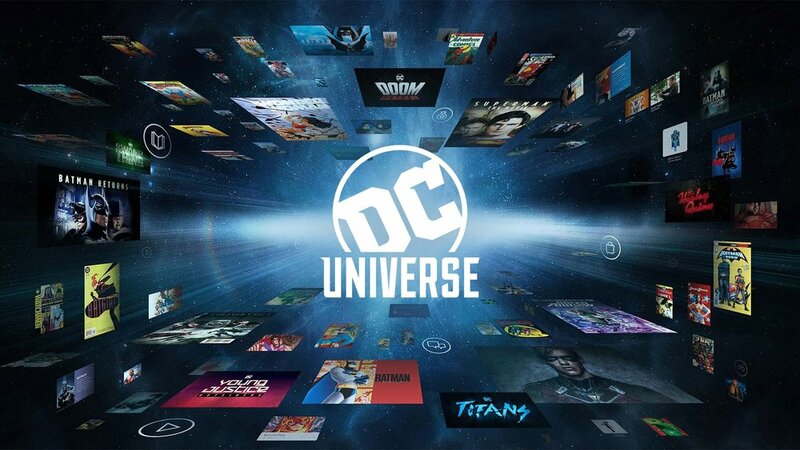 Welcome to the first-ever digital fan experience just for you -- DC Universe. No matter if you’re a Supergirl or Darkseid fan, you're sure to find plenty to satisfy, as you watch, read, shop, and connect with other fans who share your passion. We've been working on DC Universe for quite some time now, we're excited about what we have in store for you, and we can’t wait to hear what you think so we can continue to build this together. There's no better day to launch DC Universe officially than September 15th, Batman Day! We've got tons of Batman goodness for you, including six live-action feature films, animated movies including this year's Batman Ninja, and Batman: The Animated Seriesin glorious HD. If you're a comic lover, you're also in the right place. 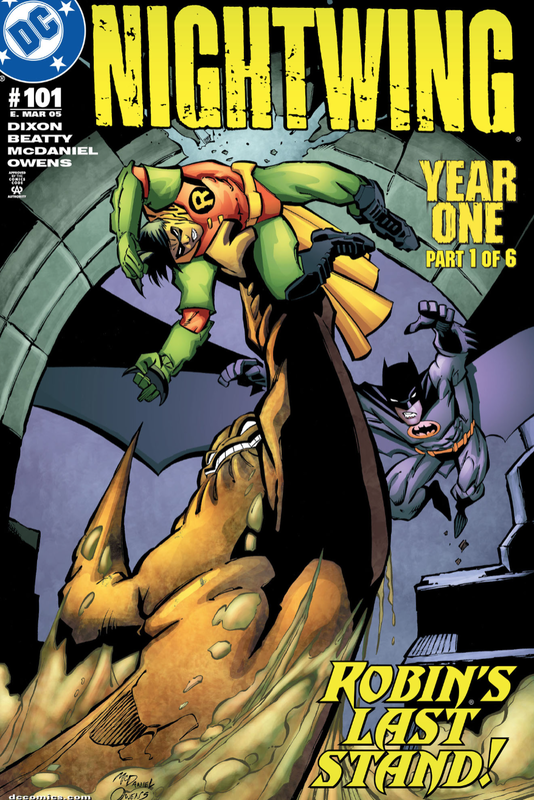 We’ve got over 400 Batman comics alone, including Frank Miller's groundbreaking Batman: Year One and The Dark Knight Returns. And there are countless other comics, movies, and shows here for your enjoyment. To thank you for joining us, we're also launching 30 days of giveaways on September 15th. Kicking things off is one of the most stunning pieces of DC art we've ever seen -- the DC Gallery: The Joker 1:1 Bust by Oscar-winning makeup artist Rick Baker. Stay tuned for more in the next 29 days! What's next for DC Universe? We'll be working non-stop to bring you even more goodness, including the ability to purchase the entire DC digital comics library! Plus, new features to make our community *the* ultimate gathering place for all DC fans, both online and IRL. (If, for example you're planning to attend this year's New York Comic-Con, take note -- we'll have exclusive rewards there for our members.) Of course, the debut of our first-ever original series, Titans, is on October 12th. We think there's never been a better time to be a DC fan and we’re here to serve you and make this your universe. So thank you, very much, for joining us. Up, up, and away!